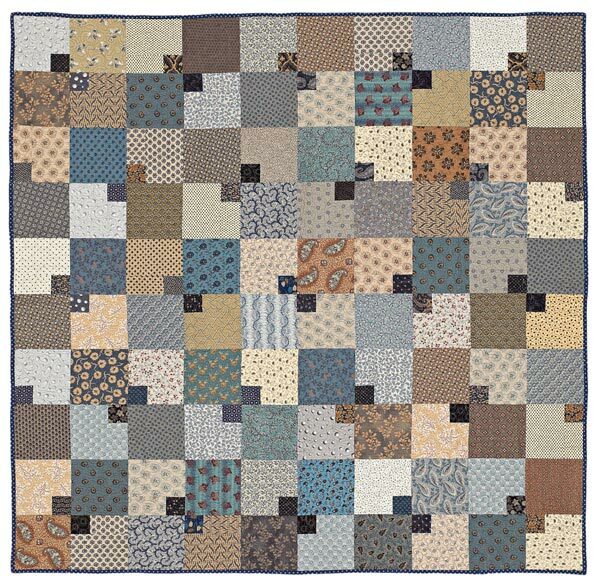 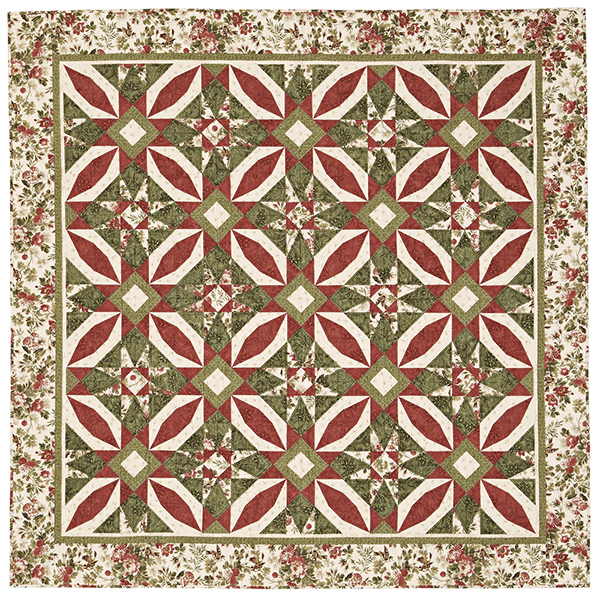 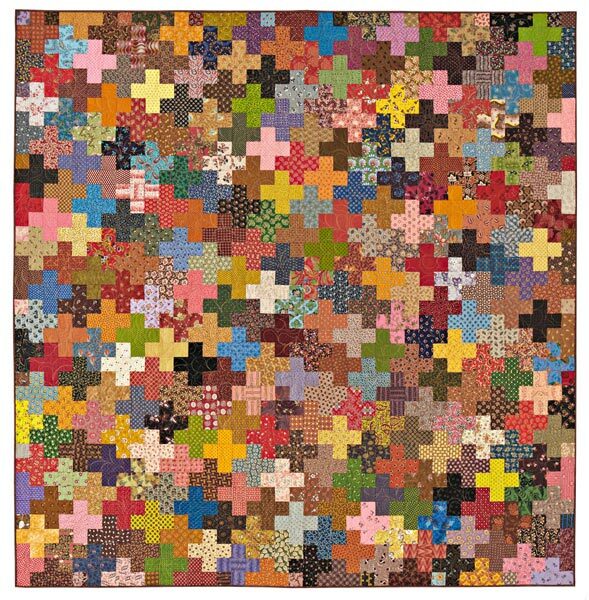 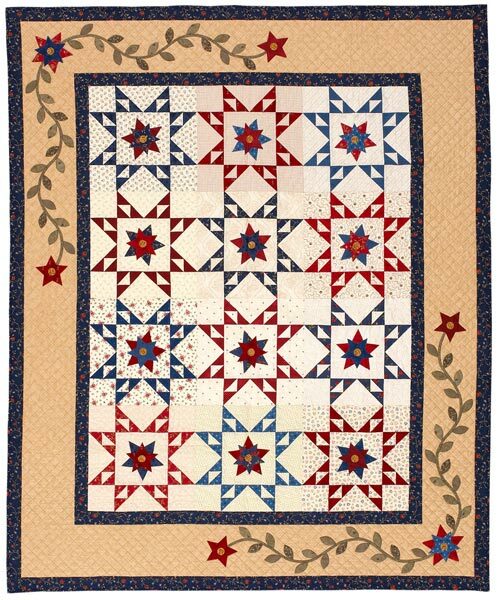 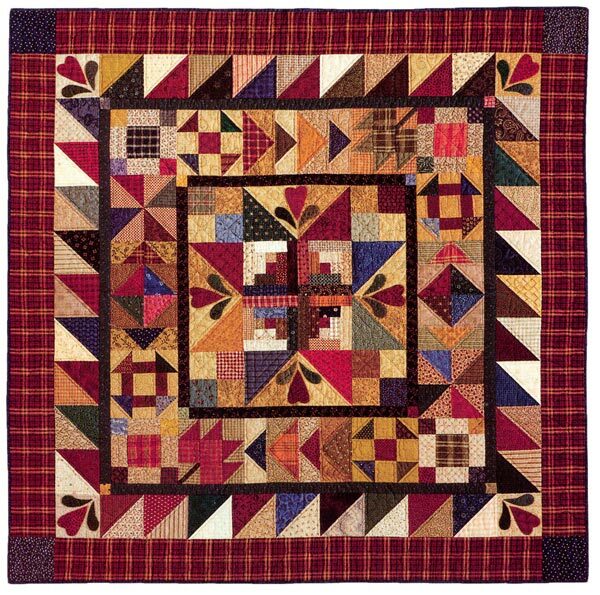 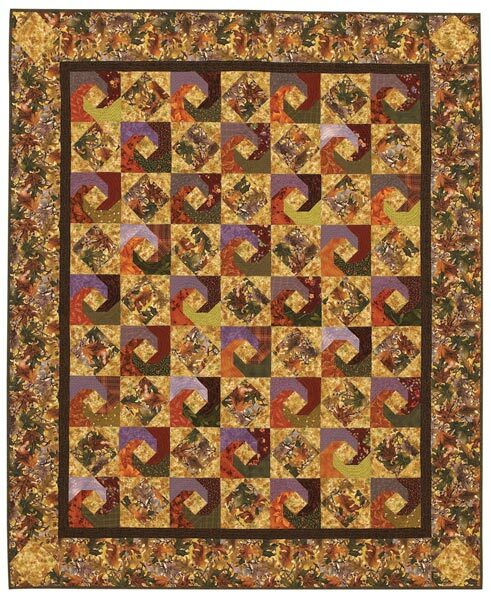 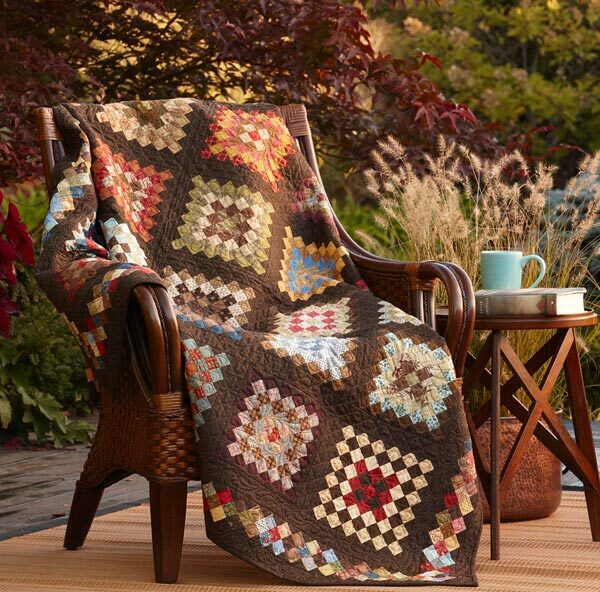 Designer Kim Diehl chose a star, one of her favorite design elements, for the center of this scrappy quilt. 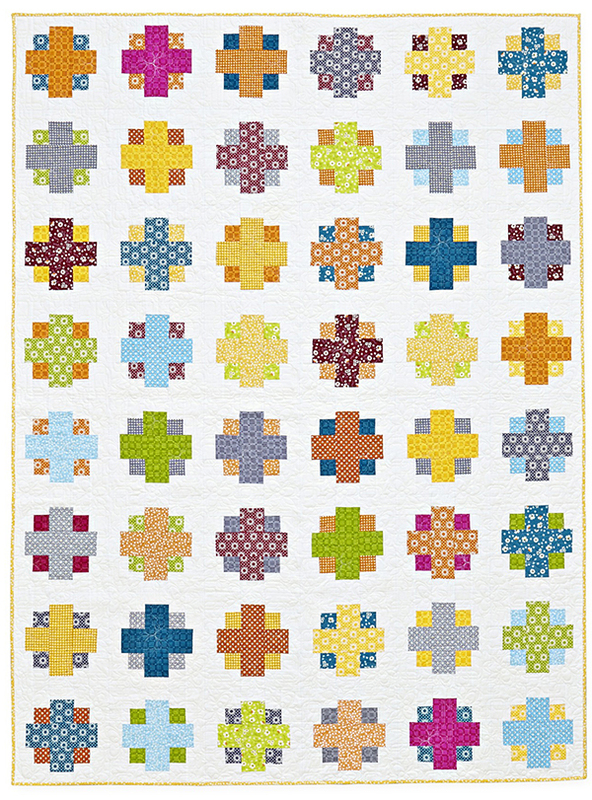 The center then radiates into an array of classic patterns, made from over 200 different fabrics. 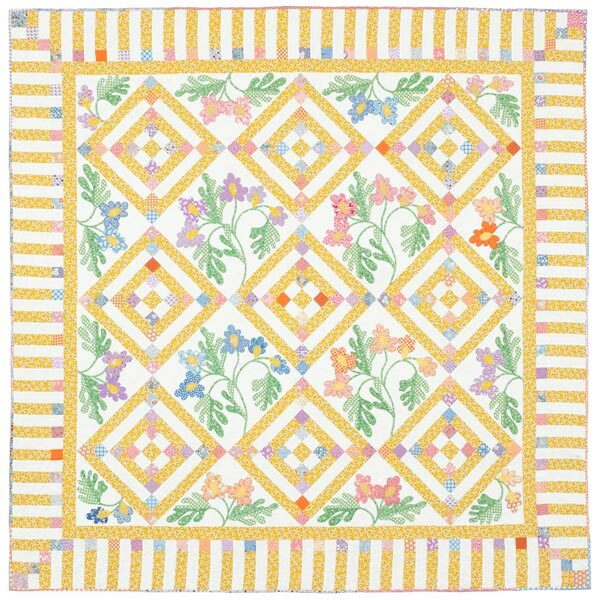 Finished quilt: 52-1/2" square.